José Francisco de San Martín Matorras, also known as José de San Martín (February 25, 1778 – August 17, 1850), was an Argentine general and the prime leader of the southern part of South America's successful struggle for independence from Spain. Born on February 25, 1778, in Yapeyú, Corrientes, he left his mother country at the early age of seven and studied in an aristocratic school in Madrid, Spain, where he met and befriended Chilean Bernardo O'Higgins. In 1808, after joining the Spanish forces to fight against the French, and participating in several battles such as the Battle of Bailén and Battle of Albuera, San Martín started making contact with South American supporters of independence. In 1812, he set sail for Buenos Aires from England, and offered his services to the United Provinces of South America (present-day Argentina). After the Battle of San Lorenzo in 1813, and some time in command of the Army of the North during 1814, he started his plan to attack Lima. This involved first creating an army in Cuyo, liberating Chile, and then attacking Lima by sea. In 1817, he crossed the Andes from Mendoza to Chile, and prevailed over the Spanish forces after the Battle of Chacabuco and Battle of Maipú (1818), liberating Chile. San Martín seized partial control of the viceroyalty's capital (Lima) on July 12, 1821, and was appointed Protector of Perú. Peruvian independence was officially declared on July 28, 1821. After a closed-door meeting with fellow libertador Simón Bolívar at Guayaquil, Ecuador on July 22, 1822, Bolívar took over the task of fully liberating Peru. Together with Simón Bolívar, San Martín is regarded as one of the Liberators of Spanish South America. He is the national hero of Argentina. A better commander than governor, his commitment to making liberation a reality overrode his interest in wealth or power. Turning down the offer to lead Chile, he also resigned from the leadership of Peru as soon as Peruvians had elected their own government. Retiring from politics and from the military, he moved to France in 1824. Son of Spaniard Juan de San Martín y Gómez, born at Cervatos de la Cueza on February 12, 1728, and wife Gregoria Matorras, he was born the fifth and last child in February 25, 1778, in Yapeyú, a small village in Corrientes, Argentina. His father was a Colonel in office as Lieutenant Governor of Yapeyú beginning in 1774. In 1781, the family moved to Buenos Aires. In 1785, his father was transferred again, this time to Spain. And so the family moved to Spain, and San Martín enrolled in Madrid's Real Seminario de Nobles where he studied from 1785. While at the Real Seminario de Nobles he met and became friends with Bernardo O'Higgins. Statue of Jose de San Martin (sculptor unknown) donated by the government of Argentina to Mexico and on display at the intersection of Paseo de la Reforma and Eje 1 Norte near Metro Garibaldi. After joining the Regiment of Murcia, San Martín participated in several campaigns in Africa, fighting in Oran against the Moors in 1791, among other places. Later, by the end of the First Coalition of the French Revolutionary Wars in 1797, his rank was raised to Sub-Lieutenant for his actions against the French in the Pyrenees. On August of the same year, after several engagements, his regiment surrendered to British naval forces in 1798. Soon afterward, he continued to fight in southern Spain, mainly in Cádiz and Gibraltar with the rank of Second Captain of light infantry. He continued to fight Portugal on the side of Spain in the war of oranges in 1801, and was soon after promoted to captain in 1804. When the Peninsular War started in 1808, San Martín was assigned ayudante (Spanish, aide) of the First Regiment Voluntarios de Campo Mayor. After his actions against the French, he became Captain of the Regiment of Borbon. On July 19, 1808, Spanish and French forces engaged in the Battle of Bailén, in which Spanish forces prevailed, allowing the Army of Andalucia to attack and seize Madrid. For his actions during this battle, San Martín was decorated with a gold medal, and his rank raised to Lieutenant Colonel. While in Spain, San Martín became acquainted with several criollos (creoles), and becomes aware of the independence movements in America. On May 16, 1811, he participated in the Battle of Albuera under the command of general William Carr Beresford. During the battle, he met Scottish Lord MacDuff (James Duff, the Fourth Earl of Fife) who introduced him to the lodges that were plotting the South American independence efforts. San Martín requested resignation from the Spanish army, which was granted. Throughout his time serving in Spain he experienced hindrances and prejudices in his career and life in general because he was born in the Americas. Although he only lived there for a short time and had Spanish parents his career and social mobility was limited. With the help of Lord MacDuff, San Martín obtained a passport to England where he met several criollos, American born Spanish like himself, who were part of the Logia de los Caballeros Racionales (Lodge of the Rational Knights) founded by the Venezuelan Francisco de Miranda. According to Argentine historian Felipe Pigna, San Martín was introduced to the Maitland Plan by members of the lodge founded by Miranda and Lord MacDuff. In 1812, San Martín set sail to Buenos Aires aboard the British frigate George Canning. Following his arrival in Buenos Aires on March 9, 1812, his rank of Lieutenant Colonel was recognized by the Triumvirate and he was thus entrusted with the creation of the Regiment of Mounted Granadiers ("Regimiento de Granaderos a Caballo"), which would become the best-trained military arm of the revolution. During 1812, he focused on training troops by following the modern warfare techniques he had acquired during the Peninsular War. With Carlos María de Alvear and José Matias Zapiola, he also established the Logia Lautaro, an offspring in Buenos Aires of the independence lodges in London and Cádiz. On August of the same year, he married María de los Remedios de Escalada, a young woman from one of the local wealthy families. In October, when news of the victory of the Army of the North commanded by Manuel Belgrano reached Buenos Aires, the Lautaro Lodge initiated political pressure, backed by San Martín armed forces and popular demand, to impose its candidates into government, thus forcing the First Triumvirate to an end and initiating the Second Triumvirate with members Juan José Paso, Nicolás Rodríguez Peña, and Antonio Álvarez Jonte (Rodríguez Peña and Álvarez Jonte were members of the lodge). This new government strengthened the position held by the Army, and decided to lay siege to Montevideo, which was controlled by loyalist to the Spanish Crown. On December 7, 1812, San Martín was promoted to Colonel. Although not technically a battle (in Spanish the battle is referred as Combate de San Lorenzo ("San Lorenzo Combat")), references in English language refer to the event as the "Battle of San Lorenzo." On January 28, 1813, San Martín with his Mounted was sent to protect the Paraná River shore from the Spanish Fleet ships under command of General José Zavala. On the morning of February 3, the Spanish forces disembarked and fought against San Martín in the Battle of San Lorenzo. During the fight, San Martín's horse was shot dead and fell, trapping one of San Martín's legs underneath the dead horse. This made him an easy target, but Sergeant Juan Bautista Cabral helped him extricate himself. While he was helping the Colonel, Cabral was attacked himself, and died from his wounds after the battle. After the battle, San Martín was promoted to General. This was San Martín's first military action in South America. After the victories of the Army of the North in the battles of Tucuman and Salta, the Army commanded by Manuel Belgrano lost ground after defeats in the Battles of Vilcapugio (October 1) and Ayohuma (November 14, 1813). The Triumvirate then decided to send San Martín to the North with a small infantry army and his cavalry regiment. After joining the defeated Army of the North in Yatasto, he took command in January 1814, Belgrano becoming second in command. During his command, the Army camped in Tucumán, where he started instructing the troops, created a new military school, and sent Colonel Martín Miguel de Güemes to fight against loyalist coming from Peru to gain time. However, after minor struggles in Salta and Jujuy, news of the victory of Commander Guillermo Brown against the loyalist's navy, and the resulting blockade of Montevideo, made the loyalist forces from Peru retreat to concentrate its forces. During his command of the Army of the North, San Martín confirmed one of the reasons behind the Maitland Plan's scheme: Royalist forces that came down from the Upper Peru (roughly present day Bolivia) were easily defeated by the independentist forces in the valleys of Salta and Jujuy. But because of the geographical advantage, forces attacking Upper Peru were easily defeated by the royalists for the very same reasons. One month after he took office, royalist forces defeated rebel forces under Bernardo O'Higgins' command (O'Higgins fled to the Andes). San Martín strengthened his espionage network with the so-called Guerra de zapa ("War of Zapa"), a pun on the expression Trabajo de zapa, which means hidden work done slyly towards some particular aim. He kept his troops in Mendoza to train and prepare them. On this behalf, San Martín sent his Aide-de-camp and amateur cartographer Álvarez Condarco (carrying an Act of Independence to Chile as an excuse) through Los Patos pass (the longest path), and returned through the Uspallata (the shortest one), to perform reconnaissance of several locations, mainly the Chacabuco area. Other measures included a disinformation campaign in Chile by sending fake information on the possible attack routes, and information gathering of the situation in Chile in order to prevent a possible attack from there. He fooled natives also having them do his military favors and not reciprocating. Cerro de la gloria: Monument of the Army of the Andes in Mendoza, Argentina. During his governorship of Cuyo, he organized the Army of Cuyo. On November 8, 1814, he created the 11th Battalion of Infantry which included the Corps of Chile (Spanish: Cuerpo de Chile), which was under command of Argentine Lieutenant Colonel Juan Gregorio de las Heras. These Chilean corps were remnants of the army that had fled from Chile after the Battle of Rancagua. By October 1815, after contributions of several provinces, the army had 1,600 infantry soldiers, 1,000 men in cavalry, 200 men in artillery and 10 cannons. However many problems arose, such as low supplies of powder, iron, and uniforms. Because existing local industries were not enough to supply the Army of the North, San Martín handled the problem by creating local industries in Cuyo to meet the requirements of the army he was creating. On the other hand, despite having the support of the Supreme Director of the United Provinces of Río de la Plata, the support was far from being at a national level. His efforts were often undermined by the skepticism of some local leaders about the viability of the campaign against the Viceroyalty of Peru through the Andes. However, on August 1, 1816, Pueyrredón renamed the army to Army of the Andes (Spanish, Ejército de los Andes) and San Martín was appointed General in chief, and gave the army national priority. By the end San Martin’s army had grown immensely. In September 1816, San Martín relocated his Army of the Andes to Plumerillo, in the northern part of Mendoza Province, where he finished the details to start his crossing of the Andes. The army was divided in two main columns and four minor ones, keeping the decided paths in secret. On January 18, 1817, a main column parted with the artillery to Chile through Uspallata, under command of General Las Heras, reaching Las Cuevas on February 1, 1817. The second main column, led by San Martín, left on January 19, through Los Patos pass, and reached San Andrés de Tártaro on February 8, where he was later joined by Las Heras, concluding the first part of the crossing. By the time the main columns reunited, both had already had minor skirmishes: the first column had fought royalists in Potrerillos, while the forces led by San Martín had fought the Battles of Achupallas and Las Coimas. The crossing of the Andes was extremely difficult and took 21 day with the high altitudes and low temperature. After crossing the Andes and entering Chile, the Spanish royalist forces were taking positions in Mount Cuesta Vieja, preparing themselves for the confrontation against the Army of the Andes. By February 10, 1817, the Army of the Andes was in the Aconcagua valley, and the Spanish royalist forces had not still taken full positions. San Martín then took the initiative and hastened preparations for his attack. Despite a severe attack of Rheumatoid arthritis, San Martín commanded the battle, and seeing the Spanish forces under numerical inferiority and considering the surprise factor, developed a strategy for the Spanish forces to surrender, avoiding bloodshed. The charge was a stalemate until Soler's division joined the battle turning the odds in favor of the patriot side. After the battle, the royalist forces had suffered five hundred casualties and six hundred royalist soldiers had been taken prisoner. On the Army of the Andes side, there were twelve killed and around one hundred wounded. The army also gained new artillery and other weapons, besides restoring the Chilean revolution. San Martín sent a message reporting the victory: "The Army of the Andes has attained glory and can report: In twenty-four days we have completed the campaign, passed through the highest mountain range on the globe, defeated the tyrants and given freedom to Chile." Statue of José de San Martín in Santiago de Chile. On February 14, 1817, San Martín and O'Higgins triumphally entered Santiago, and on February 18, in a meeting held in the town open hall, San Martín was offered the Governorship of Chile. He declined, saying he would be delighted if O'Higgins were to be appointed. O'Higgins was subsequently elected Supreme Director of the State of Chile. The United Army was created with Chilean and Argentine soldiers. The Chilean soldiers were under O'Higgins command, while San Martín was General in Chief of the whole United Army. Then San Martín, in order to raise funds for a fleet, left for Buenos Aires. After negotiating with Pueyrredón, a delegation was sent to London to provide ships for a new fleet in the Pacific Ocean. Back in Chile in the last days of 1817, San Martín sent a delegation to Lima under the pretext of proposing to the Viceroy Joaquín de la Pezuela of Peru the regularization of the war and exchange of POWs. The real purpose was to gain as much information as possible about the enemy's plans. The delegation brought the news that a Spanish army under General Mariano Osorio was about to set sail in four frigates to southern Chile. Despite the success in the Battle of Chacabuco, and while leaving Santiago and the northern Chile under patriot control, the royalist forces still had strong presence in southern Chile. The men under Osorio's command joined the royalist forces in the south by sea. The royalists also had allied themselves with Mapuche native Americans. On March 19, 1818, the royalist forces concentrated and fortified in Talca with around five thousand men under General Osorio, while the independent forces of around seven thousand men formed by the United Army were taking positions in the Cancha Rayada plains. San Martín, fearing an attack on his flank, ordered a change of position of the troops. Knowing their disadvantage in number and cavalry, the Spanish General Mariano Osorio was not eager to engage in battle, fortifying in Talca. However, after a suggestion from Colonel José Ordóñez a confrontation was decided upon, under Ordoñez' command. In a bold move, Ordoñez made the kind of attack San Martín had feared: Circumventing the city and making a surprise attack at night behind the vanguard where the patriot forces were still taking positions. The surprise attack happened before the patriot army had re-positioned itself, and was a directed at the battalion under O'Higgins command, near San Martín's position. Soon, the vanguard soldiers dispersed, leaving O'Higgins in a bad position; his horse was shot dead and he was wounded in one arm. In an uncharacteristic move, instead of ordering retreat San Martín held the position, which made more patriot soldiers flee under enemy fire, leaving weapons and supplies behind. After the initial disorder, however, he ordered retreat. The rear and reserves had already re-positioned, somewhat withstanding the attack, but had no-one in command (Colonel Hilarión de la Quintana had left to headquarters to receive orders after the re-position and had not yet returned). Las Heras took command, and led the men during the retreat, while trying to recover as much artillery and weapons as possible. San Martín and O'Higgins (who were also retreating at full speed) were being closely chased by royalist forces. By March 21, 1818, the decimated patriot forces of around three and half thousand men reunited in San Fernando, while news of the defeat reached Santiago. Rumors of deaths of O'Higgins and San Martín were spreading, and an exodus from Santiago to Mendoza started. The battle (which was the only defeat the campaign had suffered) resulted in around 150 killed, and two hundred men taken prisoner. Several hundred had deserted, the whole artillery of the Argentine side was lost along with considerable amounts of horses, mules and weapons from both the Chilean and Argentine parts of the army. Despite the royalist victory, the action proved decimating to their side: two hundred soldiers had been killed, three hundred men captured and around six hundred had deserted, a total comprising more than half the two thousand men that had charged into the battle. Because of historical records these numbers cannot be completely accurate. After the sorpresa de Cancha Rayada (surprise of Cancha Rayada), the royalist forces concentrated and marched towards Santiago. On April 4, 1818, the United Army took positions in Loma Blanca, near the Maipú plains. The army separated into three divisions: Las Heras commanding the column on the right, Colonel Rudecindo Alvarado commanding the column on the left, and Quintana at the rear. O'Higgins (still wounded) was in charge of the reserves. The royalist forces under General Osorio's command took defensive positions, despite the convictions of some Colonels (among whom was Ordoñez) that taking the offensive as in Cancha Rayada was the best option. According to Irish Mounted Granadier John Thomond O'Brien, San Martín, seeing Osorio's disposition of the forces, exclaimed, "Osorio is clumsier than I thought. Today's triumph is ours. The sun as witness!" Around 11 a.m. on the morning of April 5, 1818, the patriotic forces charged against the royalist forces with devastating resolution: After the sustained six-hour battle, the royalists were defeated. Osorio attempted to retreat to a property called Lo Espejos (The Mirrors) but failing to reach it, fled to Talcahuano with around twelve hundred men, although virtually rendered useless as they had lost most, if not all, of their weapons. The royalist forces suffered two thousand dead, three thousand prisoners taken and lost all its artillery. The patriotic forces, on the other hand, suffered one thousand casualties. Historian and Colonel José Luis Picciuolo stated in his book Argentina Cavalry in the History of the Army that "this battle was executed as a typical act of annihilation." As result of the battle, the Spanish control over northern Chile ended, and the independence declared on February 12, 1818, was partially accomplished. Viceroy Pezuela considered northern Chile lost, and Osorio set sail for Peru, leaving Colonel Juan Francisco Sánchez in charge of one thousand men in Talcahuano. Since the Battle of Chacabuco, San Martín had urged both governments of Santiago and Buenos Aires to build a fleet on the Pacific. Convoys had been sent to the United States and England in order to buy and hire several ships, however, lack of political cohesion in Argentina, a Spanish blockade in Valparaíso, and the Battles of Cancha Rayada and Maipú heavily delayed the project. On the other hand, the mountainous landscape of the region lent itself to a large dependence of the colonial Chilean economy on maritime trade routes and shipping. This meant that there was an abundance of shipyards and a ready supply of sailors. Right after the Battle of Maipú, San Martín left for Buenos Aires in order to speed up the process (and meet his wife and daughter which he had not seen since the start of the Campaign of the Andes). Once in Buenos Aires, after learning the fact that half a million pesos would not be available for the project from Pueyrredón, San Martín resigned as Commander of the Army under the pretext of being prescribed by his doctor to take rest in Chile's hot springs. The resignation was not accepted and San Martín was granted a license. 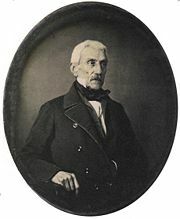 After Supreme Director José Rondeau was defeated in the Battle of Cepeda, San Martín sent his resignation of the Army's command from Santiago to Rancagua, where Colonel Las Heras had settled with the army, arguing that the authority to which he had to report had ceased to exist, and thus his own authority had expired. The officials of the army rejected his resignation on the basis that the army's goal was to hasten the happiness of the country and the authority was given ultimately by the health of the people, something that was immutable and could not expire. On August 20, 1820, a fleet of eight warships and sixteen transport ships of the Chilean Navy, under the command of Thomas Alexander Cochrane, 10th Earl of Dundonald, set sail from Valparaíso to Paracas, southern Peru. On September 7, the army landed on [Paracas and successfully attacked Pisco. On September 11, 1820, San Martín sent a "manifesto" to the Peruvian people stating "My announcement is not that of a conqueror that tries to create a new enslavement. I cannot help but be an accidental instrument of justice and agent of destiny. The outcome of victory will make Peru's capital see for the first time their sons united, freely choosing their government and emerging into the face of earth among the rank of nations." Peru's national flag (1821-1822), created by San Martín. While previous campaigns had been militaristic, San Martín avoided confrontation in Peru and emphasized diplomacy. His strategy consisted of waiting for the Peruvian people to begin the uprising by themselves. This resulted in many diplomatic envoys to Lima, urging viceroy Joaquín de la Pezuela to grant the independence of Peru. However, these diplomatic efforts proved fruitless. After seizing Pisco, the army set sail, on October 26, toward the north and landed at Huacho—a better place from a strategic point of view—on November 12. Huacho was used by San Martín as his main headquarters from thereon. While there, San Martín first heard of the emancipation of Guayaquil under the leadership of Peruvian Gregorio Escobedo. This and other events such as the maritime blockade of Callao by Cochrane and the victories over royalists by Alvarez de Arenales in Guacarillo (October 6) and Pasco (December 20) strengthened the position of the main independentist effort led by San Martín. On January 29, Pezuela was deposed by José de la Serna. On February 21, 1821, San Martín promulgated the Provisional Rules (Spanish, Reglamento Provisional) aimed to provide legal guarantees to the Peruvian citizens, and designed the first flag of Peru. Soon afterwards he started preparing to march on Lima. In March 1821, the army set sail and landed in Ancón (near Lima), while dispatching general Guillermo Miller to the southern coasts and Alvarez de Arenales towards the eastern hills, furthering Lima's isolation. Diplomatic efforts once again failed, as Viceroy Serna did not agree to declare independence, and San Martín did not accept Serna's proposal of acceptance by the independentists of the Spanish Constitution of 1812 and the sending emissaries to the Cortes Generales. On July 2, San Martín met Viceroy Serna. This time San Martín proposed to create a constitutional monarchy with a European monarch to be appointed later. Serna, arguing that he did not have the power to make such a decision, asked for two days to discuss the issue. However, after discussing the issue with the royalist forces' commanders, the proposition was turned down on the basis that they did not have the power to grant independence, even to create a monarchy. San Martín occupied Lima, the capital of Peru, on July 12, 1821. This was a huge loss for the Spanish forces. Independence from Spain for Peru was finally declared on July 28, 1821, and he was voted the "Protector" of the newly independent nation. During the same year, he founded the National Library of Peru, to which he donated his collection of books, and praised the new library as being a most efficient means to spread intellectual values. After Peru's parliament had been assembled, he resigned his command. On July 26, 1822, he met with Simón Bolívar at Guayaquil to plan the future of Latin America. Most of the details of this meeting were secret at the time, and this has made the event a matter of much debate among later historians. Some believe that Bolívar's refusal to share command of the combined forces made San Martín withdraw from Peru and resettle as a farmer in Mendoza, Argentina. Another theory claims that San Martín yielded to Bolívar's energy and avoided a confrontation. Many argue that San martin was a military genius but not as charismatic a leader as Bolivar. Or, he may have genuinely not have wanted to govern, only to liberate. General San Martín in Paris, 1848. After returning from Peru to Argentina and seeing his not so warm welcome, San Martin went to Europe. In 1824, after his wife Remedios de Escalada died, he moved to Europe with his daughter Mercedes, first in England, then in Brussels. To keep a neutral position during the 1830 Belgian Revolution, he moved to Paris where he contracted cholera. Cured but weakened, he bought a house and retired at Grand-Bourg, near Evry, but was once again disturbed by history. His daughter married Mariano Antonio Severo de Balcarce, illegitimate son of Juan Manuel de Rosas, in Paris on December 13, 1832, and they had two daughters. In 1848, when the revolution started in Paris, he decided to move to London, but finally stopped in Boulogne-sur-Mer where he spent the remainder of his days. His last acts on Argentine soil were the accepting of a gift from Buenos Aires governor Juan Manuel de Rosas, and his refusing to fight in the civil wars that tore the country apart. He died on August 17, 1850. In 1880, his remains were taken from Brunoy to Buenos Aires and reinterred in the Buenos Aires Cathedral. From the sea, the metal of his voice. shall arise the throne of the Liberator. the figure of the Great Captain. in virtue, in work, and in peace. in his triumphal journey, San Martín. and even greater in the sunset. of the fatherland enlightened by your light. José de San Martin is remembered for his contribution to the independce movement of South American countries from foreign, European rule. Initially in the country to help the Spanish combat French interest, San Martin would come to side himself with the movement iniated by South American subjects who resolved to shirk European rule and petition through military force for their freedom from it. His service on the side of the locals would begin in the postion of Argentinen General, for which he is highly renowned. From this position, San Martin would go on to help overthrow Spanish rule from Chile and become the First Protector of Peru. Mysteriously in 1824 he would abandon all political and military ties and aspirations in order to spend out the rest of his life in distant France. Still, his role in paving the way for the creation of a non-European, locally ruled South American continent composed of distinct and independent nations is significant. As a result of the move for independence in the region, a more diverse human community would come to be represented. The local peoples were afforded the ability to have a greater influence over their affairs and were given the ability to emerge onto the world scene, as the powers previously horded by the monarchies of the Old World were more widely distributed amongst those previous left on the outside. The move towards the independence of various nations on the South American continent is significant in its contribution towards helping broaden the global human community as a whole. The role of liberators such as San Martin was highly significant in and of itself in achieving the goal of freedom. The Order of the Liberator General San Martin in his honor is the highest decoration in Argentina. ↑ Carleton Beals, The Long Land Chile, The Internet Archive. Retrieved November 25, 2008. ↑ Ville de Boulogne-sur-Mer-Tous droits réservés, La Casa San Martín. Retrieved November 23, 2008. ↑ Lowell Thomas, Lowell Thomas' Book of the High Mountains (New York: J. Messner, Inc.). ↑ O’Higgins, cited by John Armstrong Crow, The Epic of Latin America (Garden City, N.Y.: Doubleday, 1971), 467. Crow John A. 1992. Epic of Latin America, 4th ed. Berkeley, CA: University of California Press. ISBN 0520077237. Dellepiane, Carlos. 1965. Historia Militar del Perú (Military History of Peru). Lima, PE: Ministro de Guerra. Espíndola, Adolfo. 1962. San Martín en el Ejército Español en la península (San Martín in the Spanish Army in the peninsula). Buenos Aires, AR: Comisión Nacional Ejecutiva del 150° aniversario de la Revolución de Mayo. Harrison, Margaret H., and Richard H. Smith. 2007. Captain of the Andes: The Life of José de San Martín, Liberator of Argentina, Chile and Peru. Whitefish, MT: Kessinger Publishing LLC. ISBN 1432518305. Instituto Nacional Sanmartiniano and the Museo Histórico Nacional. 1953–79. Documentos para la historia del Libertador General San Martín (Documents for liberator general San Martín's history). Buenos Aires, AR: Ministerio de Cultura y Educación de la Nación. Levene, Ricardo. 1940. Historia de la Nación Argentina (History of the Argentine Nation). Buenos Aires, AR: Librería y Editorial El Ateneo. Luna, Félix. 1994. Historia Integral de la Argentina (Integral history of Argentina). Buenos Aires, AR: Planeta. ISBN 9789507428876. Mitre, Bartolomé. 1887. Historia de San Martín y de la Emancipación Sudamericana (History of San Martín and the South American emancipation). Buenos Aires, AR: F. Lajouane. Montes I Bradley, Ricardo Ernesto. 1952. El Agricultor José de San Martín. Buenos Aires, AR: Editorial Perspectivas. Picciuolo, José Luis. 2001. La Caballería Argentina en la historia del ejército (Argentina Cavalry in the history of the army). Buenos Aires, AR: Editorial Dunken. ISBN 9875188468. Pigna, Felipe. 2005. Los mitos de la Historia Argentina 2 (Myths of the Argentine History). Buenos Aires, AR: Planeta. ISBN 9504913423. San Martín, José de, and Christián García-Godoy. 1988. The San Martín Papers. Washington, D.C., U.S.A.: Full Life. ISBN 9780827027329. History of "José de San Martín"
This page was last modified on 11 June 2018, at 21:41.